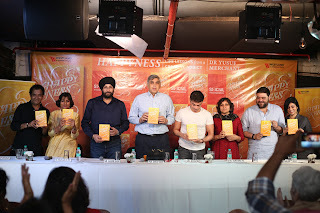 Dr. Yusuf Merchant, Founder and President of Drug Abuse Information, Rehabilitation and Research Centre (D.A.I.R.R.C) and affiliate member of the United Nations Economic and Social Council, launched his third book today, ‘Happyness: Life Lessons From A Creative Addict’, at Hauz Khas Social, Delhi. 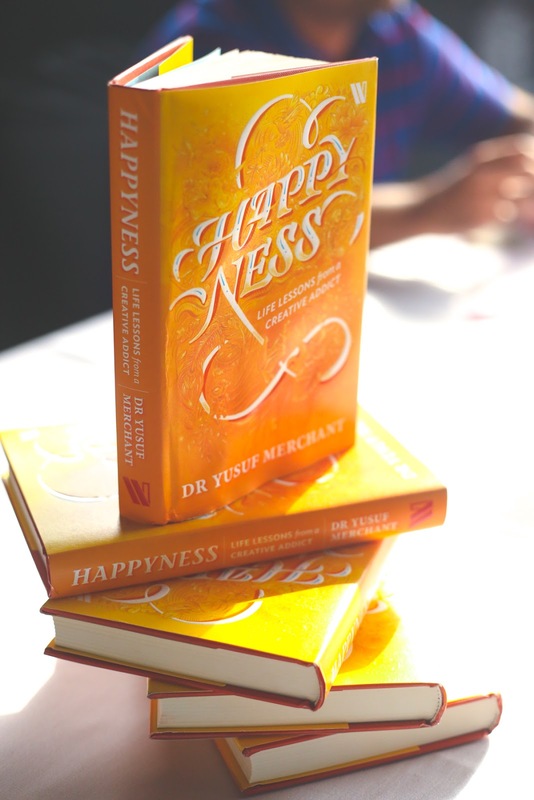 The book focuses on easily implementable life changing tools for people wanting to lead happier lives; and represents the culmination of Dr. Yusuf Merchant’s experiences, both as a man, and as one of the leading behavioural therapists in the world. On the book, Dr. Merchant said, “I have, through my suffering, developed a handy life changing formula that has worked for me, for the recovering addicts I live with, and their families. This book is an endeavour to reach out beyond my circle of influence.” He maintains that happiness is a choice and a process derived by a good value system, and not merely an outcome. 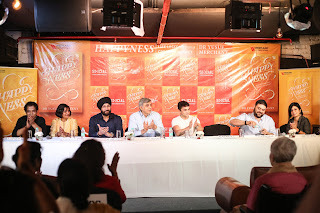 Concepts such as belief, gratitude, imagination, visualisation, love and awareness are described in detail to arrive towards happiness, in his book. Speaking about Dr. Merchant and his everlasting influence on people's lives around him, Riyaaz Amlani, CEO, Impresario Entertainment & Hospitality Pvt. Ltd. said, " Dr. Merchant has proven an invaluable source on the journey to discover peace, love, and happiness within yourself.” He also said, '' If there is one book you should read this year, its ‘’Happyness- Life Lessons from a creative addict’’, Happiness guaranteed''. This book is especially timely, especially when a large amount of attention, across the globe, is geared towards the state of human happiness. The U.N. has been publishing World Happiness Reports for the past five years and the 20th of March has been International Day of Happiness. However, research reports, by the U.N., suggest that one in every four adults today is unhappy due to mental issues relating to depression and anxiety. According to the U.N. World Happiness Report 2017, India’s happiness levels have dropped by 0.839 points on a scale of 2.7 and is currently ranked 122 out of 155 worldwide (with 1 being the happiest country). Therefore, there has been an increase in the search for happiness. Instances such as the most sought-after course at Yale being ‘Happiness 101’, and the U.K. has officially appointing a Minister of Loneliness, goes to show the pertinence of the issue in today’s world. Closer to home, the Delhi Government has even decided to include a happiness curriculum in schools. The ever-growing attention that mental health and wellbeing are currently receiving, and Dr. Merchant’s vast experience, in this field, led him to write the book on creative techniques and perspectives to deal with the emotional struggles of everyday life. By bringing together scientific theories on the functioning of the brain and how it alters under stress, as well as existential questions on karma and the meaning of life, Dr. Merchant weaves a vivid and impactful account on some of the basic tenets of leading a fulfilling life. Through this book, all readers have the key to helping them fulfil their journey to happiness as well. ‘Happyness: Life Lessons From A Creative Addict’ is now available on Amazon.in, bookstores, and at a Social outlet near you. With this launch, SOCIAL kickstarts the #SocialSpeakEasy initiative to talk about mental health and break the taboo around it. The #Socialspeakeasy campaign will begin shortly across all SOCIAL outlets wherein activities and discussion around mental health awareness will take place.